Social media has effectively changed the way in which we purchase and has quickly become a staple in any business marketing plan. Display what the world has to say about you with a social media board by Empire Digital Signs. Live Twitter, Instagram and Facebook feeds run your social media accounts and mentions for the room to view! A Social Media Board encourages patrons to mention you in their posts, which provides priceless exposure for your business! This solution works particularly well for business who want a boost in social media followers. Raise awareness of the content your company is putting out into the social media world. This not only helps acquire more followers, but encourages customers to mention and engage with the company via social media. Create a unique hashtag for your company, a campaign or a special event. 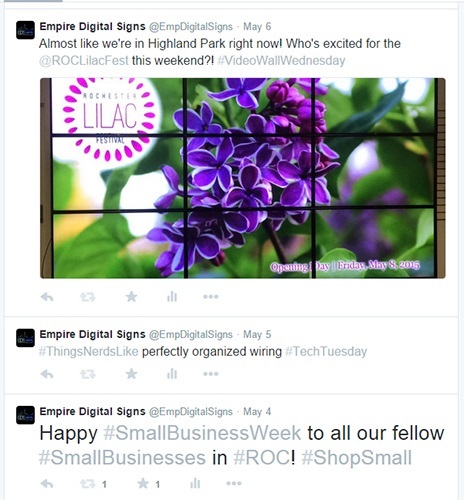 We can integrate your hashtag into a digital social media board! This inspires others to use the hashtag to see their post appear on the board. This gives your company priceless social media exposure! 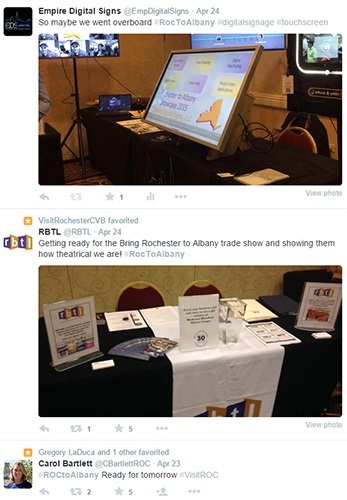 Social Media boards are a great addition to any event! 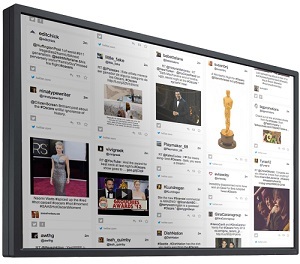 Contact Us for more information about social media board rentals!